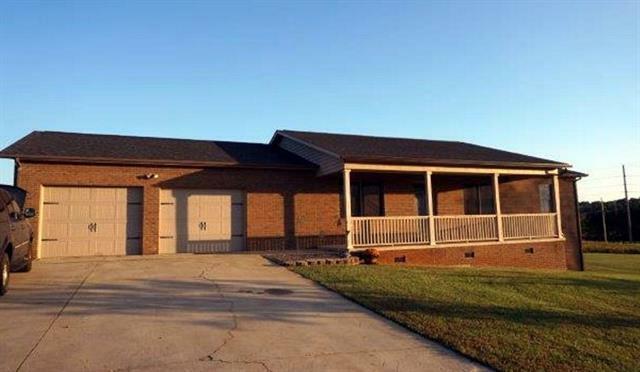 Located in a quiet country setting! Sit on your front porch & enjoy the beautiful sunsets. This all brick home with basement is move-in ready. Wood floors throughout & tile in the baths. Master bedroom has walk-in closet & large doors are handicap accessible. Nice level, corner lot. Basement has high ceiling for additional finished area in the future.